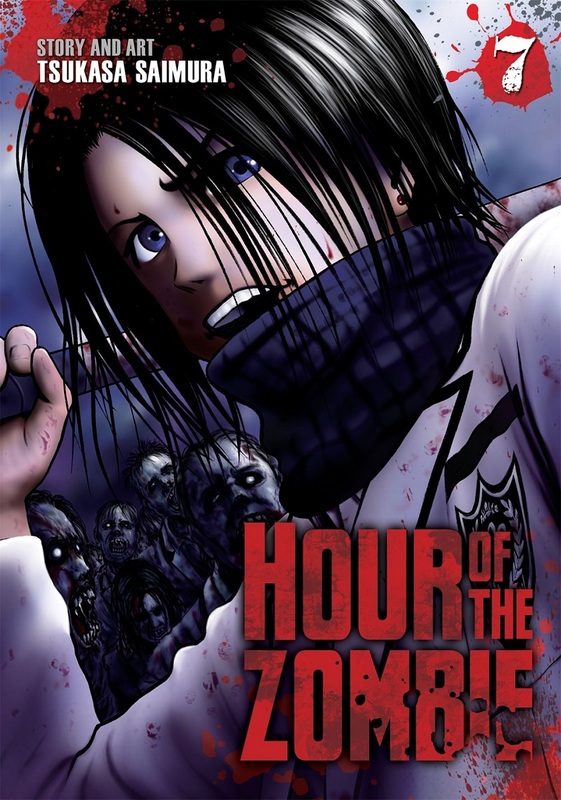 Hour of the Zombie volume 7 features story and art by Tsukasa Saimura. Akira is your typical student living a conventional high school life. He has dreams and aspirations like everyone else, and an unrequited crush on his childhood friend, Kurumi. Unfortunately for him she seems more interested in Akira's best friend, Umezawa. And yet their innocent love triangle pales in comparison to what the three friends are about to experience, even if it may yet be their saving grace. 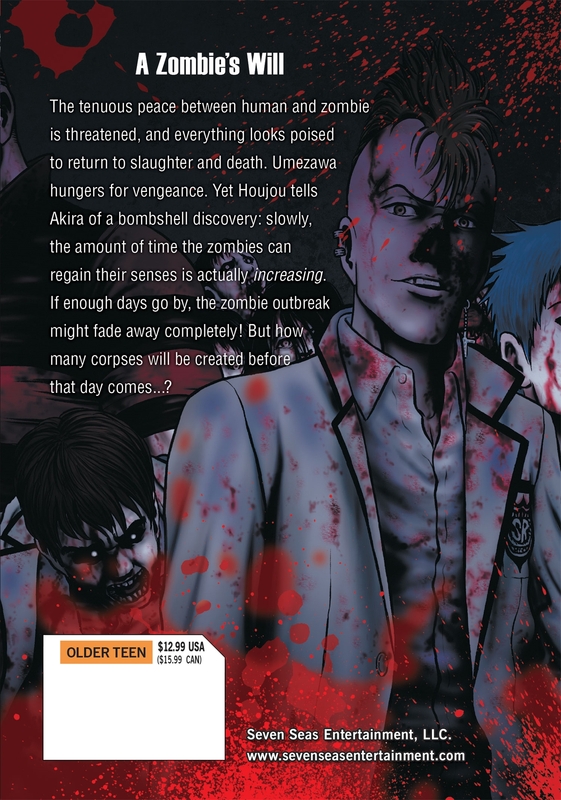 Students are suddenly turning into frenzied zombies, attacking and gorging themselves upon each other's flesh. The school is being torn apart until suddenly... they stop. With the zombies apparently back to normal, the school is now divided between the previously turned and the unbitten. But how long will this peace last? And what caused students to turn in the first place? When any of your classmates could suddenly decide to have you for lunch, a friendly face can become the scariest thing in the room.